Cyberpunk 2077 is still quite far from release, so all of its features have yet to be set in stone. Some of them, however, have already been confirmed, and one of the game’s writers confirmed something that will make fans happy. 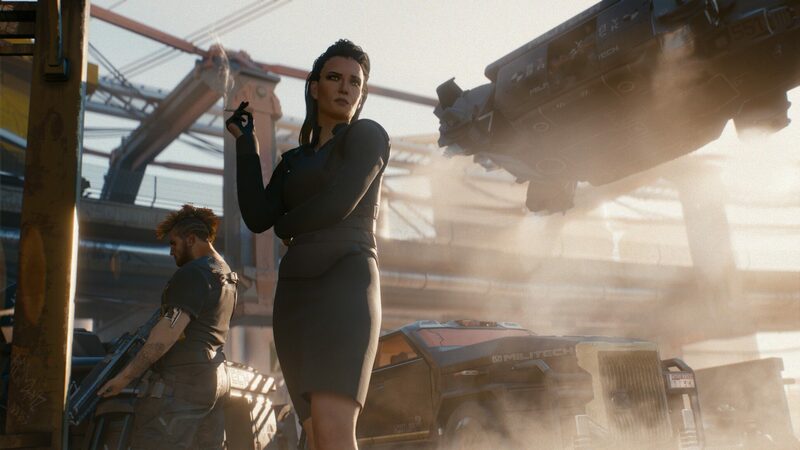 Speaking with Italian website Multiplayer, CD Projekt Red writer Stanislaw Swiecicki confirmed that Cyberpunk 2077 will sport a full day-night cycle as well as dynamic weather. The team wants players to feel like an integral part of the city from the very beginning of the game, and as such, players will be able to experience the city during both day and night. Additionally, the game will come with dynamic weather conditions just like The Witcher 3. On a related note, it seems like there’s the possibility that players will be able to change V’s name in the game. Nothing is set in stone, however, as the team is still debating on the matter. Last week, Cyberpunk 2020 creator Mike Pondsmith confirmed that he got to play the game beyond what has been seen in the E3 2018 demo, confirming some new details. I got to wander through a lot more than was shown at E3, The sequences where you’re going down to the Ripperdoc and all that. There are entire neighborhood areas in there where you can walk around and you can listen to people’s gossip. Because it’s in first-person, what I love is you get that stuff peripherally. You could be crossing to go down the street to get something and hear somebody say something [behind you], and you have to turn and figure out who said it in a crowd and where. You don’t have complete situational awareness, which makes it a far more powerful experience. Cyberpunk 2077 is in development for PC and consoles.